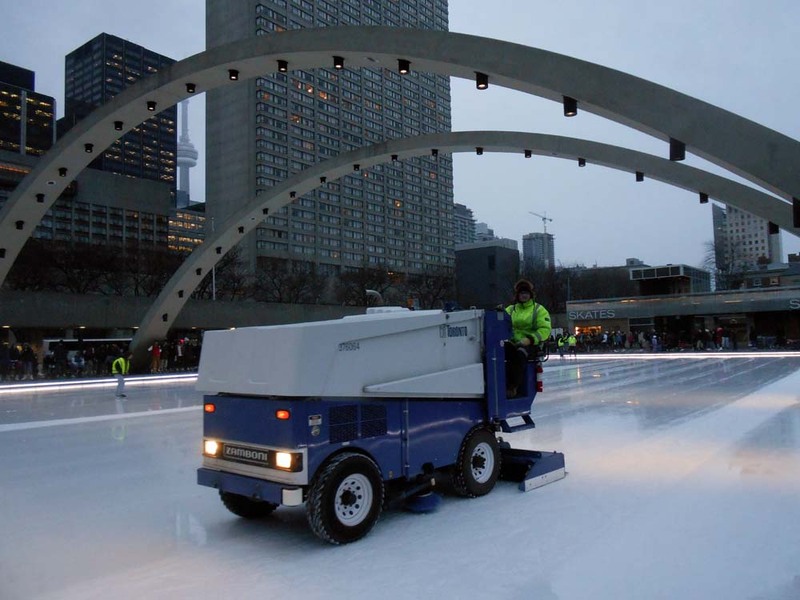 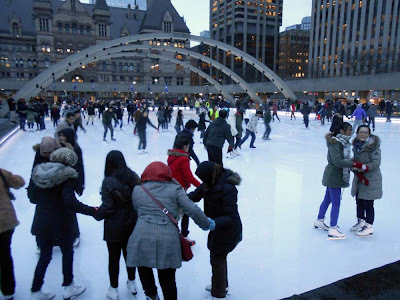 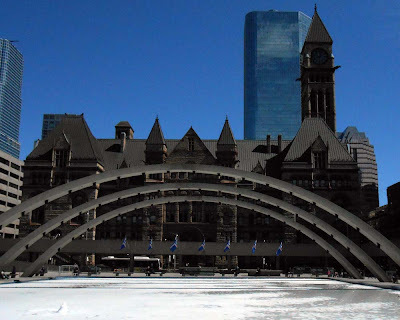 #Toronto outdoor recreation skating facilities will close on Friday, March 15 as the winter season winds down. The 14 outdoor rinks finish off the march break week with extended hours while the City's ski and snowboard hills (Centennial Park and Earl Bales Park) will close on Sunday, March 17. You can still skate indoors at the City's arenas. 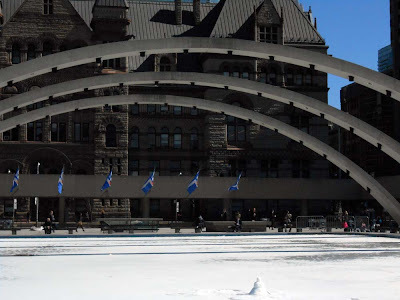 It doesn't take long before the ice breaks down and starts to melt. 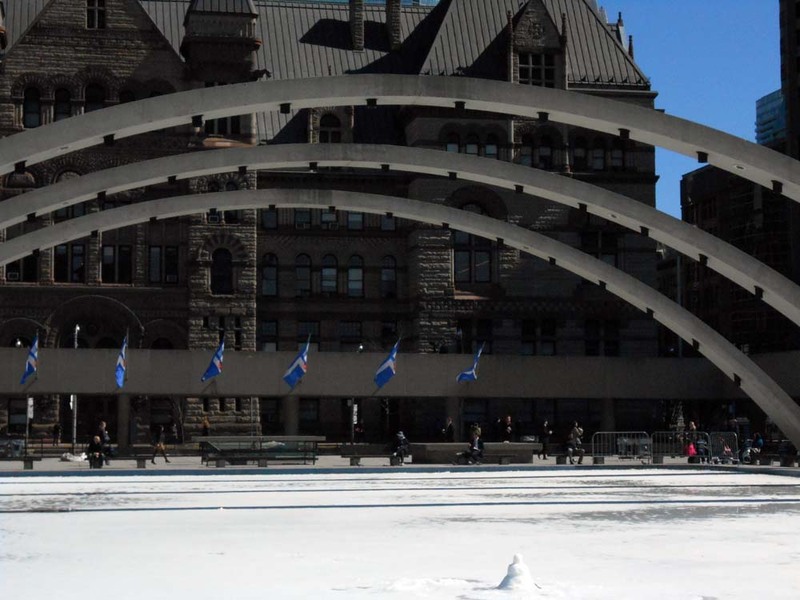 Someone has even built a little snowman on the rink.